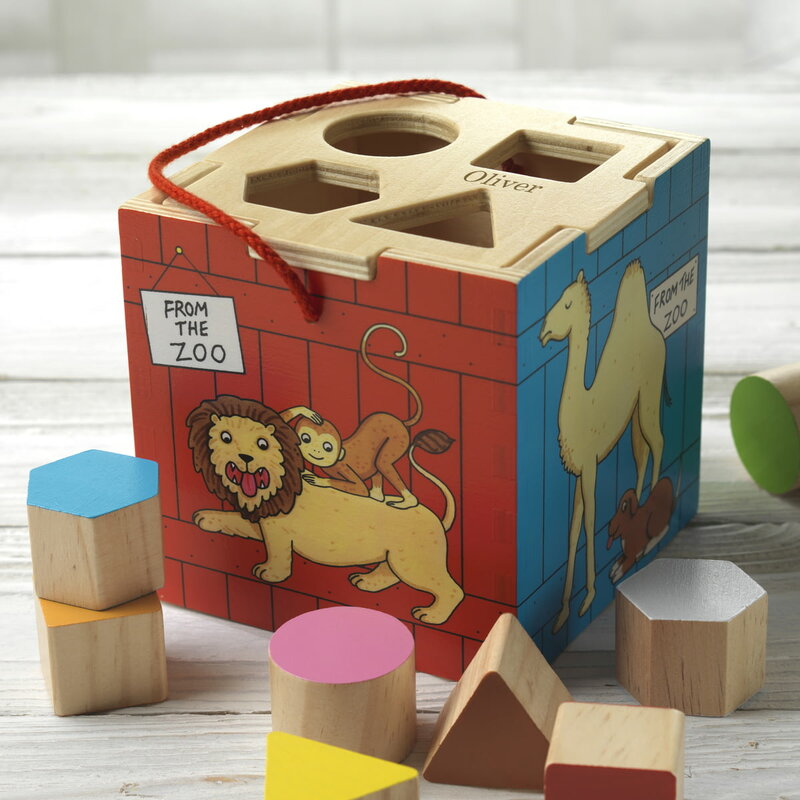 Rod Campbell's "Dear Zoo" has been loved by children for 35 years, and now you can bring the animals to life with this adorable wooden shape sorter. 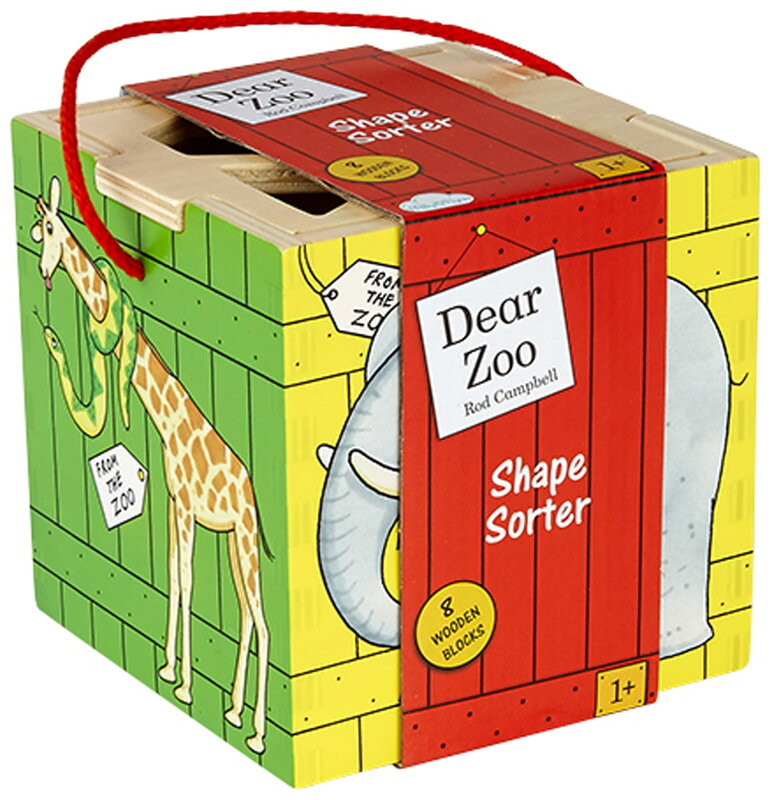 Personalise with a name of up to 15 characters below the square shape. 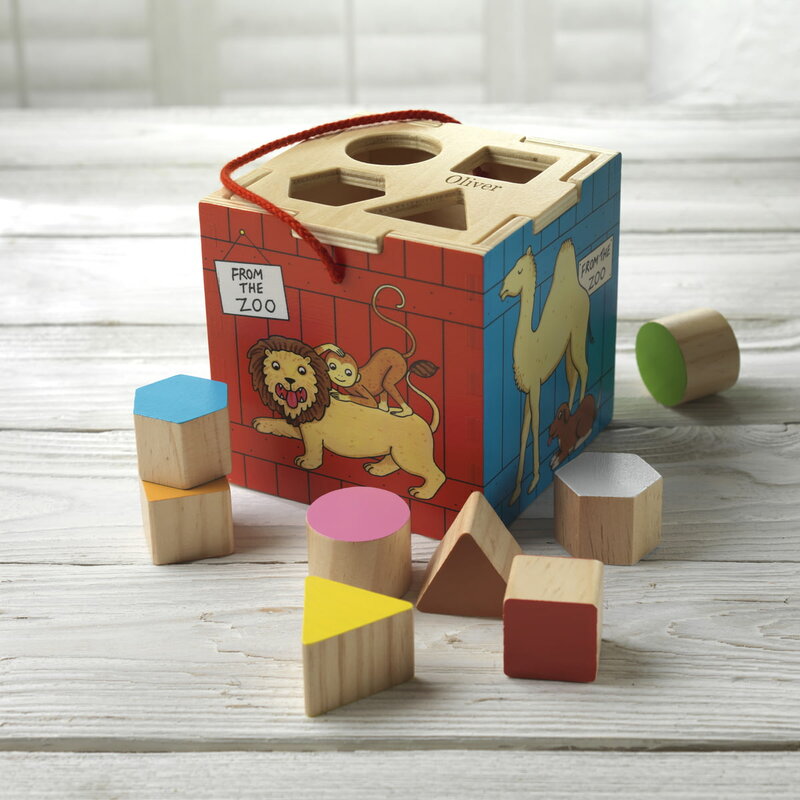 The set contains eight chunky shaped; perfect for little hands to help develop motor skills through play. 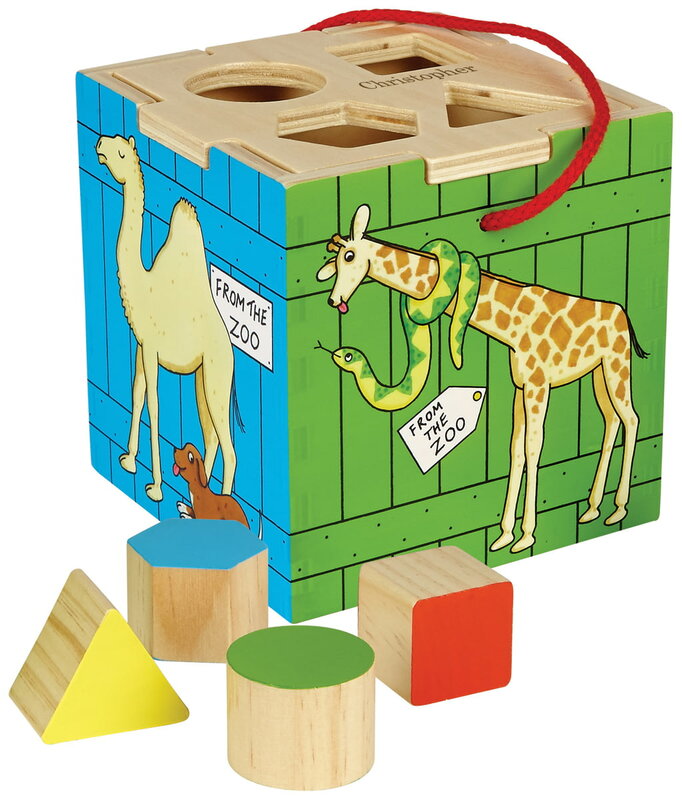 Product dimensions: 13 x 13 x13cm.